Illusione cigars created by Dion Giolito set out to re-think the modern standard of cigar culture in the market today. Dion�s approach was �do the opposite from everyone else in the industry... One subtle way was by putting the size descriptive front and center on the band, normally where the brand name would go. 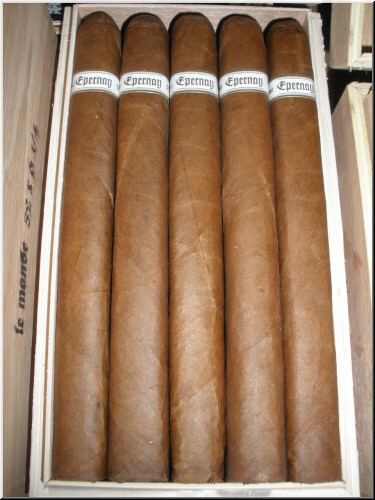 Another was a concept in blending a cigar that is "full in flavor," but medium in strength was relatively non-existent when illusione was introduced into the market. Since 2005, illusione has garnered every award and accolade imaginable in the industry world-wide, and is looked to as a leader in the �new generation� of artfully handmade cigars. The concept behind Illusione Cigars was to re-create a specific taste profile from years past. Before the Sandinistas took over Nicaragua in 1979, Nicaragua was growing some of the best tobaccos in the world. The cigars made from these prized fields, in the Jalapa Valley and Esteli region were strong, bold and clean. After years of neglect, these old Somoza fields have been re-cultivated by the legendary master grower Arcenio Ramos of Cuba, along with Fernando Chandito and famed Cuban agronomist Jacinto. Arsenio has assembled the veritable "dream team" of tobacco production. They have re-grown these humble acres to yield their fullest potential once again. All Illusione cigars are made from first generation Corojo '99, Criollo '98 seeds, wrapped with a grade one Caf� Colorado wrapper, and finished with a traditional triple cap in the premier Raices Cubanas factory. Illusione cigars deliver a taste and a quality of smoke rarely found in today's market.